The Amazon rainforest contains hundreds of different bird species, and especially in the Madidi National Park, where our EcoCamp is located, because it is the most biodiverse area in Bolivia and possibly in the world. In Madidi park inhabit 867 species of birds, supposing 85% of the country's birdlife. Throughout the tour our observers will be accompanied by local guides from the indigenous community of San José de Uchupiamonas, located in the middle of NP of Madidi, so they know the birdlife very well and can identify and imitate hundreds of local species. It is important to always keep your binoculars and camera close at hand so you don’t miss any of the majestic birds that will be spotted along the way. This program has a minimum stay of 3 days / 2 nights. And the cost of a tour is $80USD per day/person. We depart at 7:30am from the Berraco del Madidi office, in Rurrenabaque. 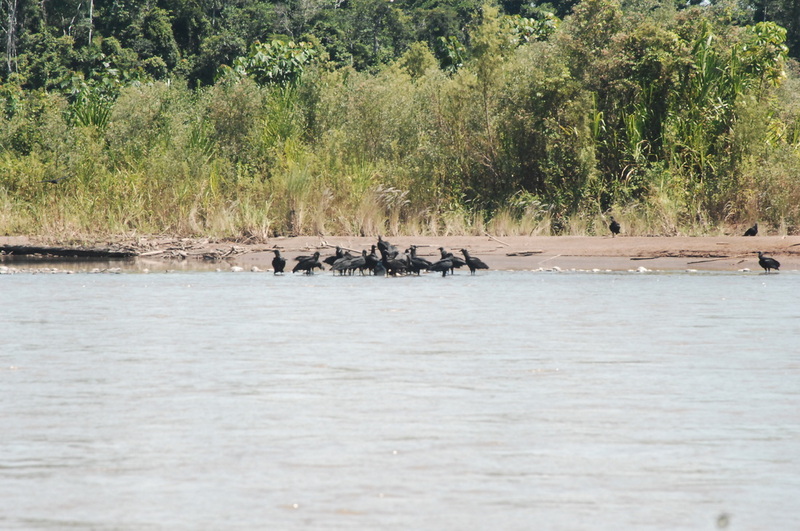 Traveling by motor boat on the Beni River, we enter into the Bolivian Amazon's Madidi National Park. 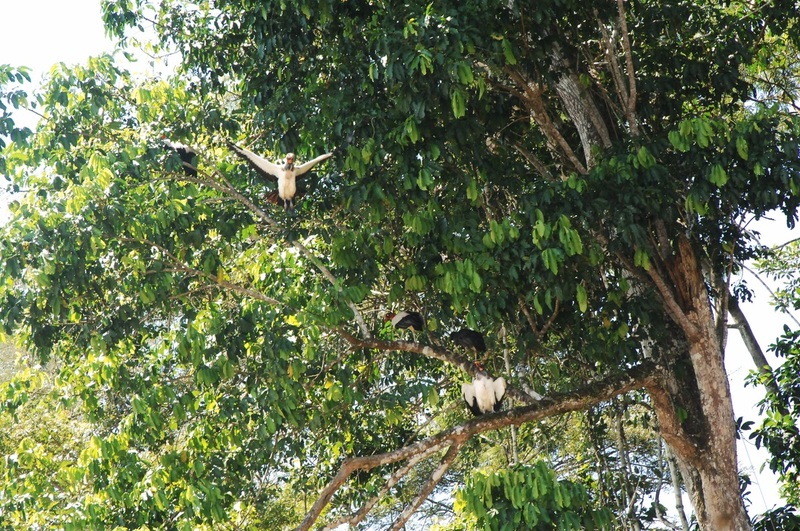 Along the river, caiman bake themselves in the tropical sun and macaws soar through the treetops. After 4 hours of scenic travel, we stop for a picnic lunch on the river bank. Continuing on our journey, we arrive at the EcoCamp Berraco del Madidi in the early afternoon. After a snack in the dining room, you do a short hike by one of our trails to learn about the different species that can found in primary forest. Primary forest refers to untouched forest, keeping to its original state. This forest has been relatively unaffected by human activities and contains the oldest trees. Throughout each day our guests a full day of birdwatching. To make this possible we do daily hiking trips from our EcoCamp, as well as taking the boat along the banks of the rivers and the adjacent lakes. Our most dedicated bird watchers wake up before dawn to hike our Mirador trail. You'll immediately be surrounded by the sights and sounds of a jungle as it begins to awaken. Here you can see birds like the hoatzin and horn screamers, which wake up very early in the morning to begin feeding. In the afternoon, we go through primary and secondary forest along the banks of the river Tuichi with spectacular views of mixed flocks. Tanagers, ant birds and toucans are just some of the birds that nest in this forest. At night, the after dinner buffet, you will hike to the Palmero trail where you can see all kinds of nocturnal birds like spectacled owls, pygmy owls and nighthawks. After the breakfast buffet we go on the last walk, usually by the Taitetu route, to squeeze the most out of the experience. After a buffet lunch, it's 4 hour boat ride downstream back to Rurrenabaque. Depending of the flight reservations of our passengers the departure time from Berraco EcoCamp is flexible.